At present time, in the modern global world competitive environment organizations are developed rapidly. Many developed industries almost every organization prefers payroll software to maintain employee records up-to-date and is used frequently by Human Resource Management. Our Payroll Software has inbuilt features that saves time and money and ofcourse gives an accurate result in a limited time period that helps to manage employee records in daily basis as well as annual records in a fraction of miniature. Our Payroll Software deliberately planned to facilitate on cost-cutting with high qualitative results as per the needs of any successful organization and gives a hand to deal with complexities of management with an ease. 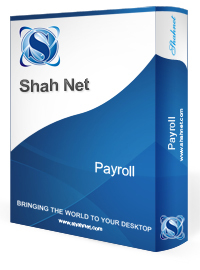 Our Payroll Software helps an organization to stay focused on business operations and refers to the administration of employee’s personal details. It consists of many important features such as employee name and their identity card, designation, birthday, date of joining, basic and gross salaries, net pay, wages, deductions such as provident fund, taxes, loan, advance taken if any, allowances like mobile and travelling allowance, commissions, incentives, overtime, bonus, holidays, vacation and leave reports like sick and official leave and maintain daily attendance sheets precise with date and time that helps organization to keep an annual records as and when is needed, so as to reduce exhaustion of mankind, which results in cost-effectiveness and accumulate time saving.